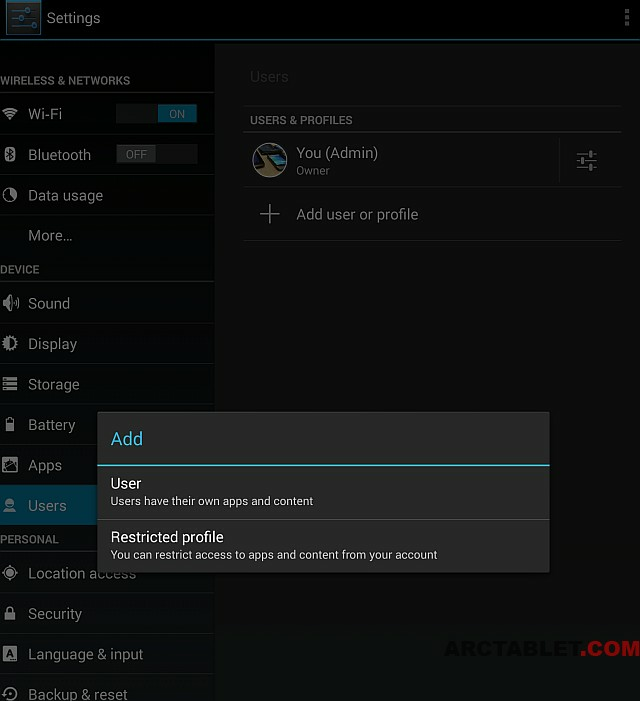 This ArcTools package helps to enable multiple users accounts on your Android system. 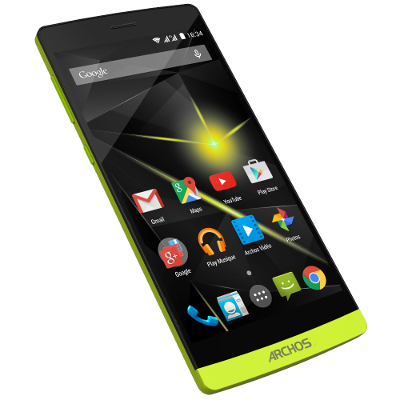 It requires a device running Android 4.2 with root access. Select "Enable multi-user (Android 4.2 or newer system required)" in the packages list. You'll have to Grant access to ArcTools when you get a SuperUser request, this is required to allow copying system files. After the script has run, wait a few seconds and reboot your tablet. This package has been tested successfully on a few tablets based on Rockchip RK3066 processor, it should work on most Rockchip devices (including RK3188 based models). As usual, please note this package does simple system file modifications but may not be compatible with your particular device, use at your own risk. Please let us know how it works for you, thanks in advance for your feedback. Works correctly in Pipo M7 Pro NO 3G! Thankyou ! ohh No Works correctly in Pipo M7 Pro NO 3G! Install App correctly, restart, and apper the USERS option in settings menu. And I press "add user" and appers a Alert window, i say YES and the Pipo sesion reboot instantly. 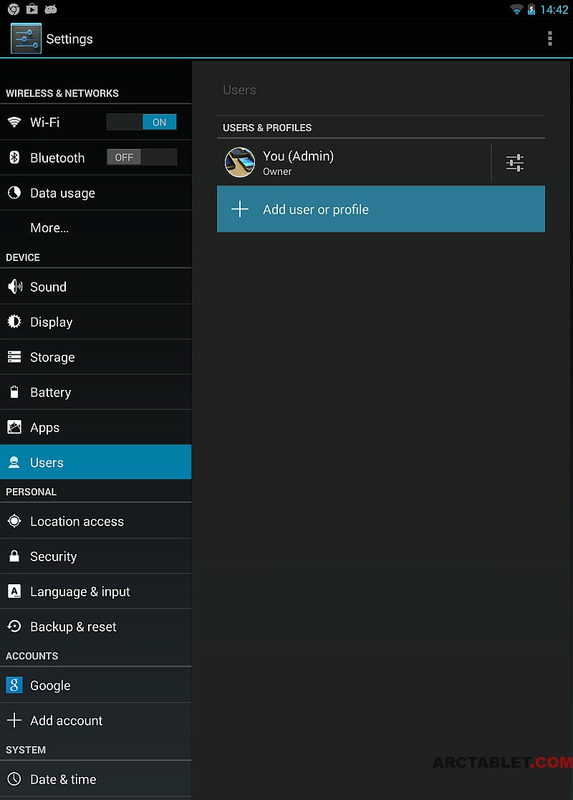 In new "welcome" screen appers 2 users, if i select the new user appers a black screen with a text "com.android.provision.DefaultActivity" and secons past appers a new Alert Window "Close or wait the com.android.provision.DefaultActivity" I press (close / Wait) and same past minuts and no running. If i close with fisic button , its posible enter with the primary user and delete the wrong. This may be a side effect of enabling multi-users on a system that is not exactly designed for it. if you need to do some testing I volunteer. sorry for the language, I write through "translator"
futzmaster mentioned in another topic that removing provision.apk file in /system/app directory may help fixing the multi-user issue. Please let me if it works for you, so I can add that in ArcTools package. - You can change the wallpaper of the new user. I read in another forum that to work the multiuser in PIPO, you also duplicate the contents of the main user folder to the folder of the secondary. Today we have taken a step forward! and copy the folder 0 (fixed which is a folder) to the new folder for the new user, it will be a larger number, such as 10. Well, this last has made no effect. Applying ArcTools + provision.apk erasing we create and enter a new user session. The gallery of images / videos is shared. You can change the wallpaper of the new user. (Yes if either animated) ¿? but! The Multiuser WORKS!!!! ThankYou ! Multiuser tested on iFive 2S HD and doesn't work. System goes to infinite reboot loop after selecting new user and trying to log in. I tried on PIPO M9 PRO with ArcTablet KitKat 4.4 Rom but nothing happens... I Can not activated the feature. There are issues with multi-user on current KitKat firmware, it's not recommended to use it at the moment. These problems come from the manufacturer's firmware, hopefully it will be fixed soon.